Nothing says Christmas like hedgehogs! 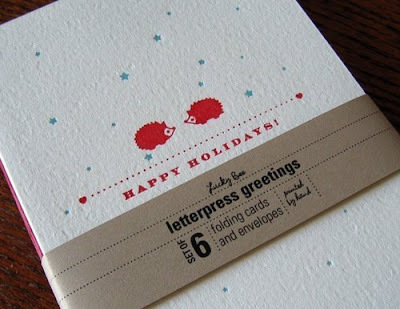 Lucky Bee Press has some delightful letterpress cards with endearing woodland creatures like birds and deer wishing you the best holiday season. 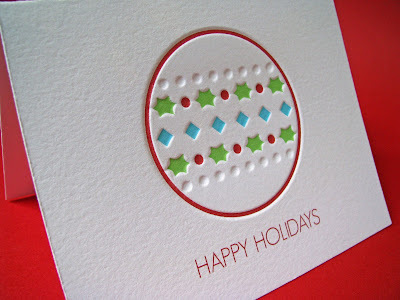 LetterpressLight has some crisp letterpress holiday cards for the season. Simple shapes are accentuated by bold color combinations. Yes, they have Hanukkah cards, too! 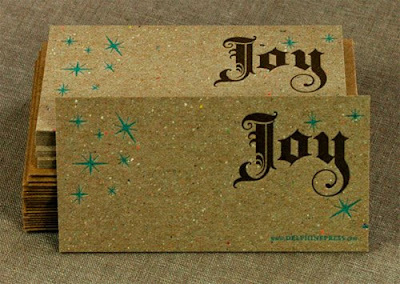 Delphine Press has released this lovely collection of letterpress chipboard paper stock with recycled kraft paper envelopes. Oh, the texture!